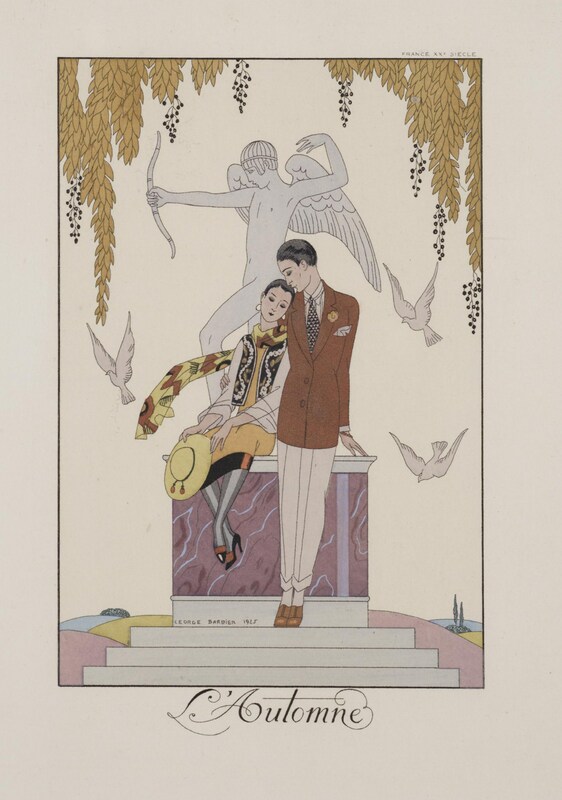 The flamboyant and fashionable Georges Barbier is most noted for his wonderful Art Deco illustrations of fashions of the 1920s. 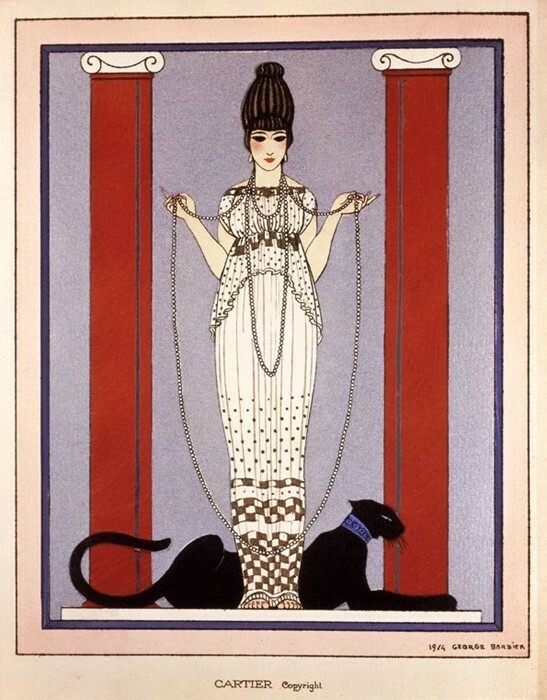 Barbier created a new fusion between fashion and art illustration with his beautiful pictures depicting willowy women in fashionable dress becoming important depictions of fashion and life in the 1920s. 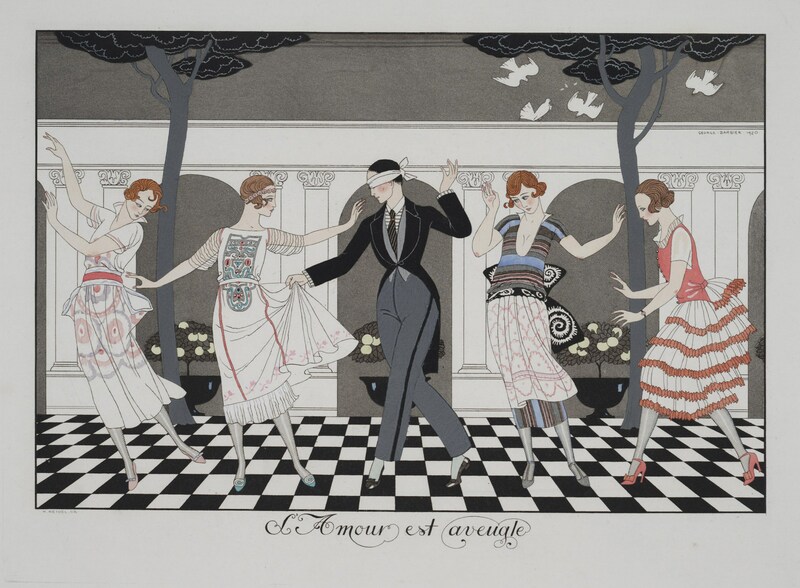 Born in 1882, Barbier lived in Paris from 1908 and continued his love of classical antiquity whilst exploring the collections in the Louvre, his fascination with the ancient artefacts, especially the figures depicted on Greek vases, greatly influenced his fashion work and depiction of females and the human body. In Paris he put on his first show in 1911 which was a great success and also led to Barbier creating and leading a group with others from Ecole des Beaux Arts that was affectionately nicknamed 'The Knights of the Bracelet' by Vogue. Other members of Knights of the Bracelet included leading fashion illustrators and artists such as Georges Lepape and Paul Irebe who led the way in producing bold fashion illustrations that were unlike any that had been seen before. 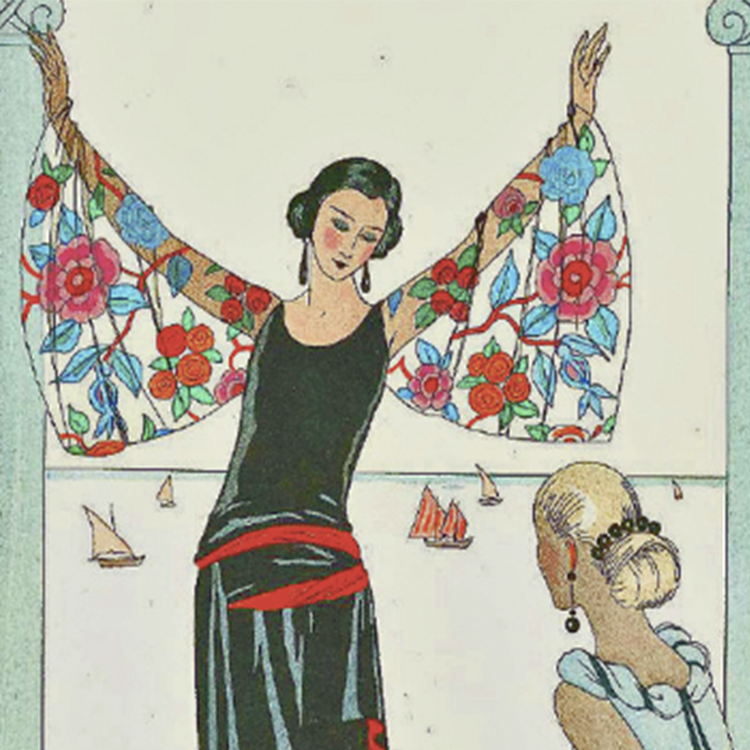 The bold stylised designs helped create the emerging Art Deco atheistic and presented fashion in a new and exciting way. 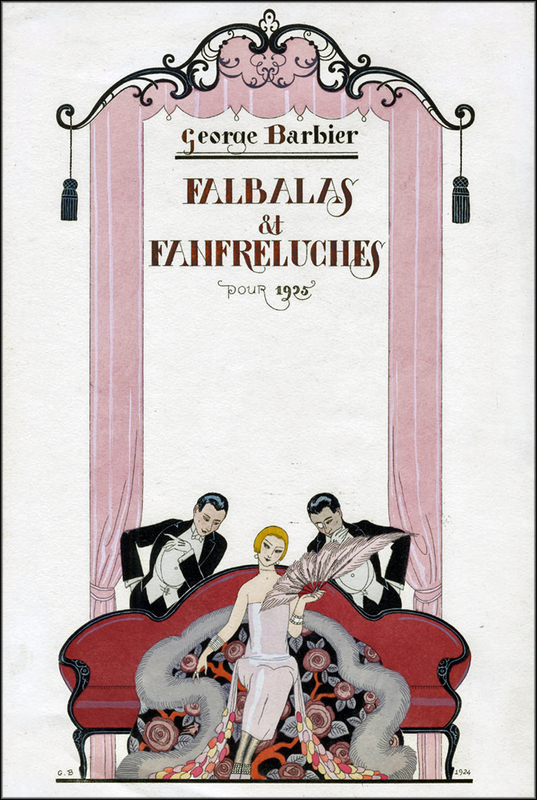 After World War 1 Barbier became editor and journalist for some Parisian magazines (such as 'La Vie Parisienne'), illustrated for many fashion magazines, books and journals whilst also founding his own luxury magazines (such as Falbalas et Fanfrelyches). 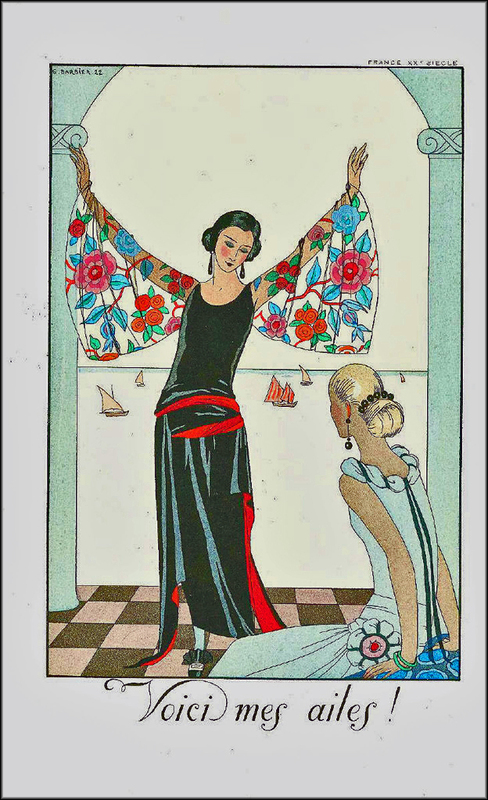 These magazines enabled Barbier to experiment with colours influenced by Ballet Russes, use stencils for publication of his colour-plates and continue his unique illustration style. 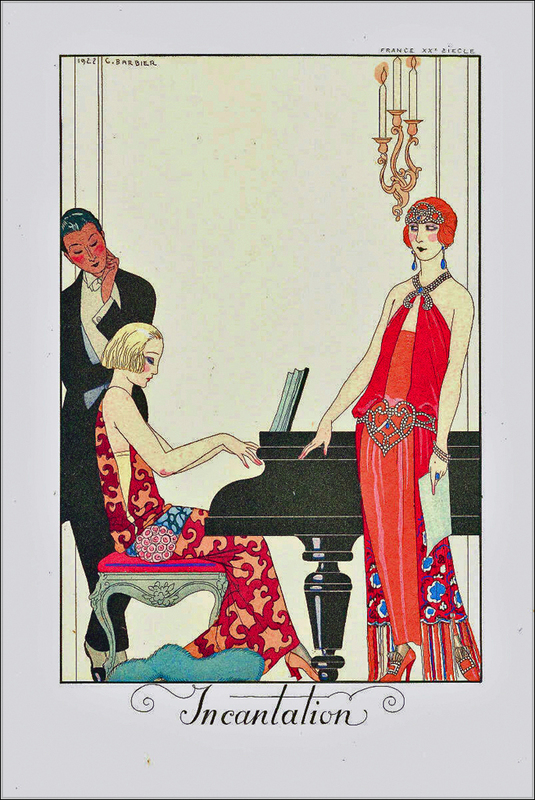 The stunning and iconic figures that Barbier depicted epitomised the 1920s fashion ideal and his reputation soon reached across the pond where he began to produce advertising artwork for brands such as Cartier and Elizabeth Arden. 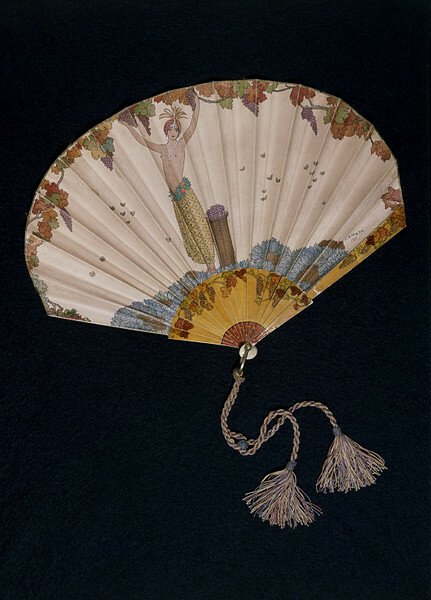 Alongside his artwork he also produced essays on fashion, designed theatre costumes, jewellery and fans. On his early death at the age of 50 in 1932 he had become one of the most well known and highly regarded artists of the Art Deco era.